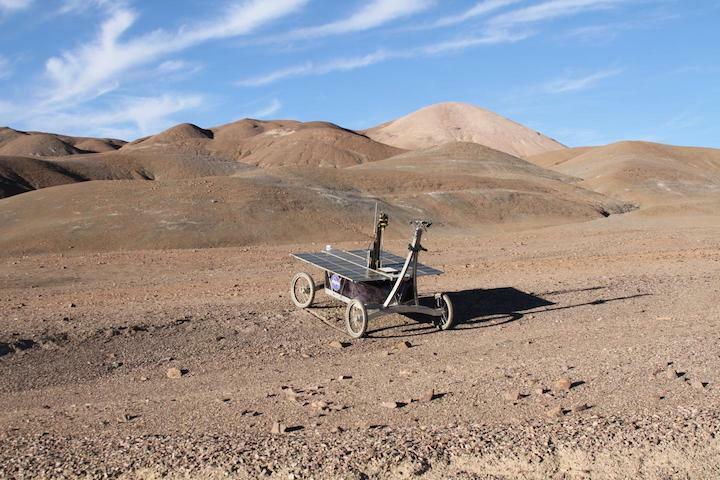 A trial NASA rover mission in the Mars-like Atacama desert. Rovers are versatile explorers on the surface of other planets, but they do need some training before setting off. 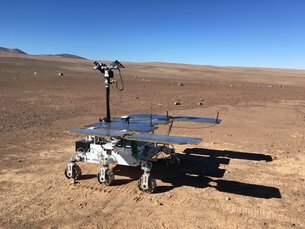 A model of Rosalind Franklin rover that will be sent to Mars in 2021 is scouting the Atacama Desert, in Chile, following commands from mission control in the United Kingdom, over 11 000 km away. The ExoFiT field campaign simulates ExoMarsoperations in every key aspect. 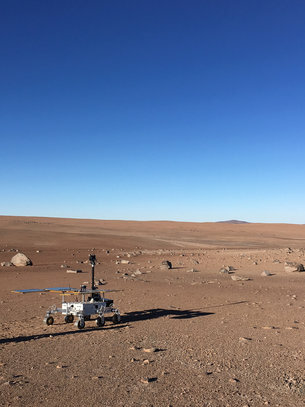 During the trial, the rover drove from its landing platform and targets sites of interest to sample rocks in the Mars-like landscapes of the Chilean desert. “We make teleoperations as martian as possible,” explains Juan Delfa, ESA’s robotics engineer overseeing the activities. 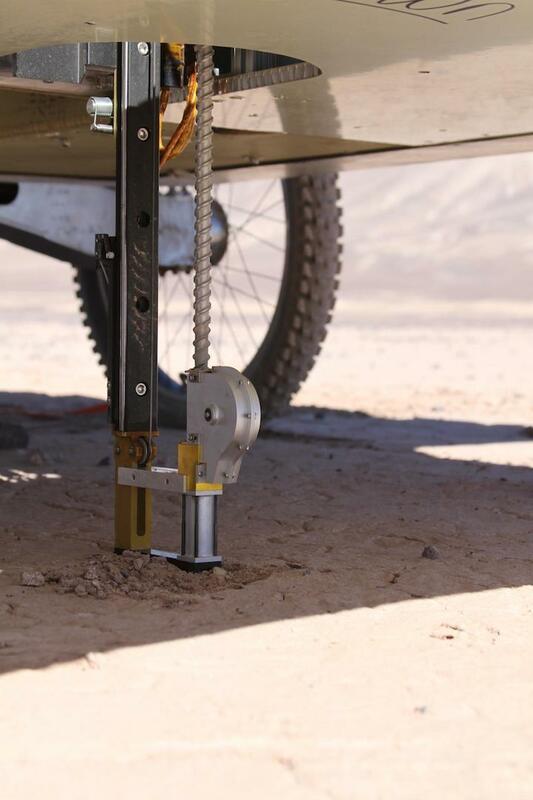 “We are continuously working against the clock as you need to take into account signals from Mars take between 4 and 24 minutes to arrive at Earth while blasts of wind might cover the rover’s solar panels with dust, and that we only have a few hours to decide what the rover should do next,” adds Juan. The campaign started on 18 February and will run until 1 March. This is the first time that ESA’s European Centre for Space Applications and Telecommunications (ECSAT), in Harwell, UK, is acting as a mission control. With over 60 people from different space and scientific organisations involved, “it is all about getting the teams to practice with real mission issues. 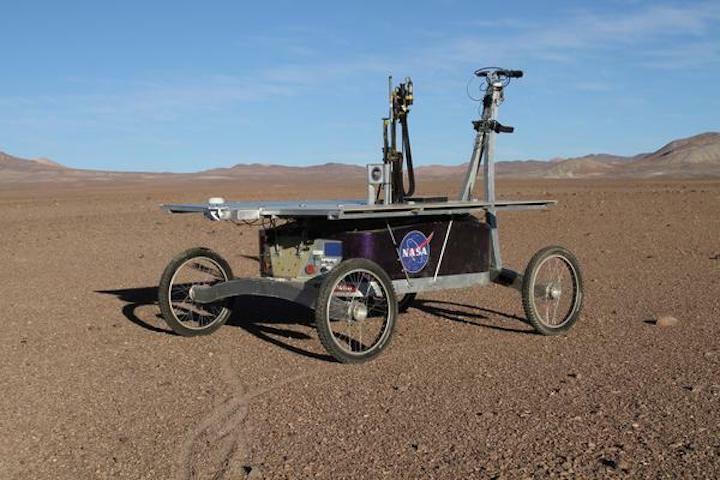 We are learning how to teleoperate a rover in the field and to make decisions in the most efficient way,” says Lester Waugh, ExoFiT mission manager from Airbus. 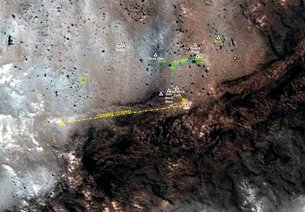 As it departed from the ‘landing site’ in a remote barren area, the first thing this prototype of ExoMars did was share a panoramic image and its location coordinates with mission control. “We only see what the rover sends us and we cannot rely on any other real-time information,” explains lead mission scientist Matt Balme, a planetary geologist from The Open University. On every martian day, known as sol in the planetary jargon, scientists analyse the data they receive and establish a whole plan for the next day in just a few hours. “It is a logistical challenge, and the planning cycle is quite stressful,” says Matt. Drilling into ancient rocks is an important part of the trial. “Just like we would do on Mars, we want to understand the geological history of the area and look for signs of life,” says Matt.